Note: A minimum quantity of 66 must be ordered, and in units of 1 thereafter. 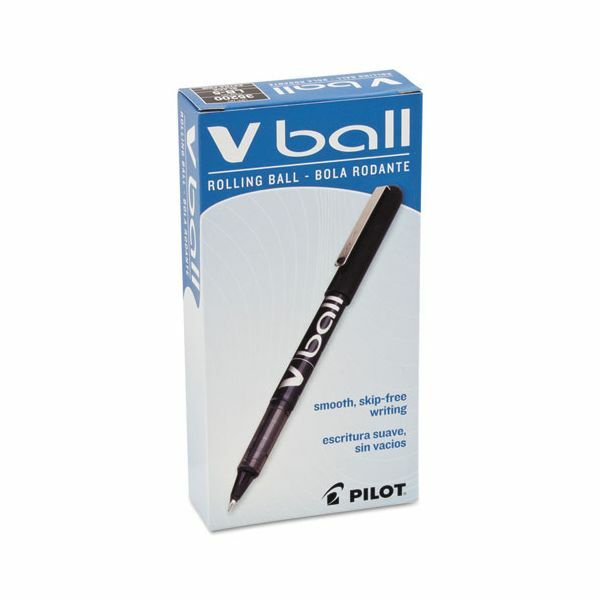 Pilot VBall Liquid Ink Stick Roller Ball Pen, 0.5mm, Black Ink & Barrel, Dozen - VBall Pen features a liquid ink feed system that assures smooth, skip-free and consistent writing. 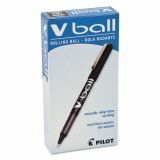 Ink does not smear or blot. The visible ink supply shows when ink is running low.